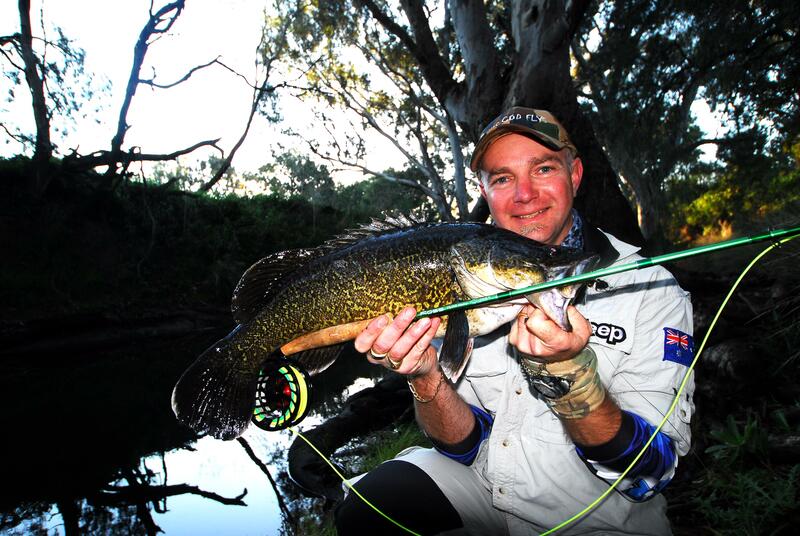 An end to 2012 – 2013 Murray cod season. 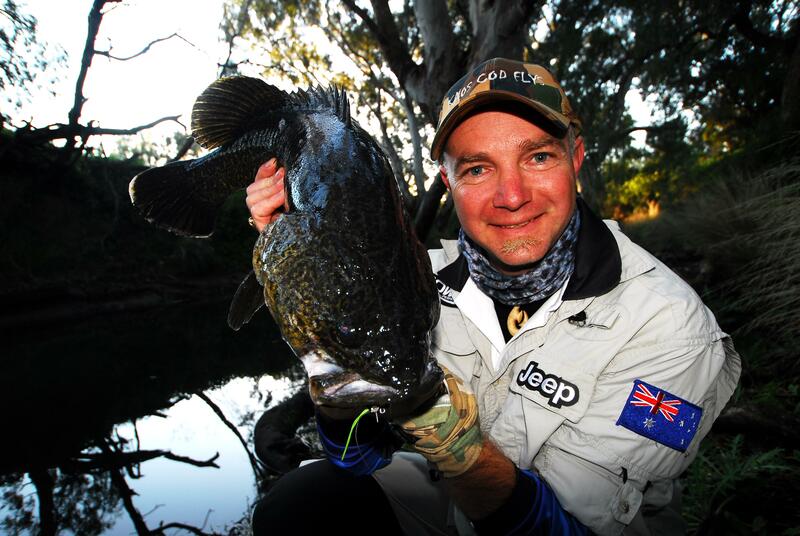 An end to 2012 – 2013 Murray cod season. As water levels were high and rain fall was heavy, cod close came to an end not quite they way i would have liked. Fishing mate Steve’O’ and I hit some freshwater in a tight place land a few cod of the surface, a nice way to close out the season. Looking forward to the 2013 – 2014 season, so over the coming months I’ll be tying flies and testing new product to add to the kaos range. Below is added info to guide you in the right direction while targeting Murray cod. At some creeks and rivers, it may seem like there are no fish lurking beneath the water’s surface, when in fact there is! May be small or there may be abundance of brush growing on the banks. Murray cod can usually be found in pools and riffles near undercuts bank, fallen trees, overhanging tree branches, shrubbery and bush evergreens. Native fish tend to rest at these areas and deep pools throughout the day. They venture out from these favorite havens in early morning and at dusk when there is very little light; or when they feel safe in there surrounds. These are key fishing spots can be found in the foothills, cliff faces and rocky points in or running through public access, reserves and private property. Just remember to use proper fishing etiquette if you wish to fly fish on private property. The best advice I can offer, is to never pass by any small creek or river system if it has shallow water. And if it looks too difficult to cast at, that’s the spot to have a shot at as you may be amazed at the size of the fish living beneath the water! However, there are many small creeks and rivers and lakes where you can fly fish from the water’s edge for Murray cod or Golden perch locally.